Erasmus+ aims to modernise education, training and youth work across Europe. It is open to education, training, youth and sport organisations across all sectors of lifelong learning, including school education, further and higher education, adult education and the youth sector. It offers exciting opportunities for UK participants to study, work, volunteer, teach and train abroad. The Department for Education oversees Erasmus+ in the UK. The programme is managed by the UK National Agency, which is a partnership between the British Council and Ecorys UK. They work to deliver the programme for the benefit of participating UK organisations, and the individuals who are able to Study abroad, Work abroad, Volunteer abroad, Participate in a youth exchange, Teach or train, Improve practice or Influence policy. 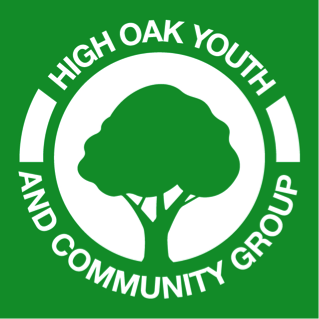 High Oak Youth & Community Centre has created projects or participated in projects under many of the above headers. 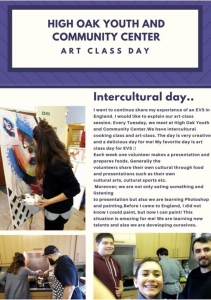 We currently have volunteers under the European Voluntary Service (EVS) programme supporting us with the work we do, learning about living independently and celebrating new cultures. More information is on the New to Erasmus+ webpage, including an overview of the programme and the funding opportunities. There’s also an overview of Erasmus+ here. An Beginners Guide to Erasmus can be found here.